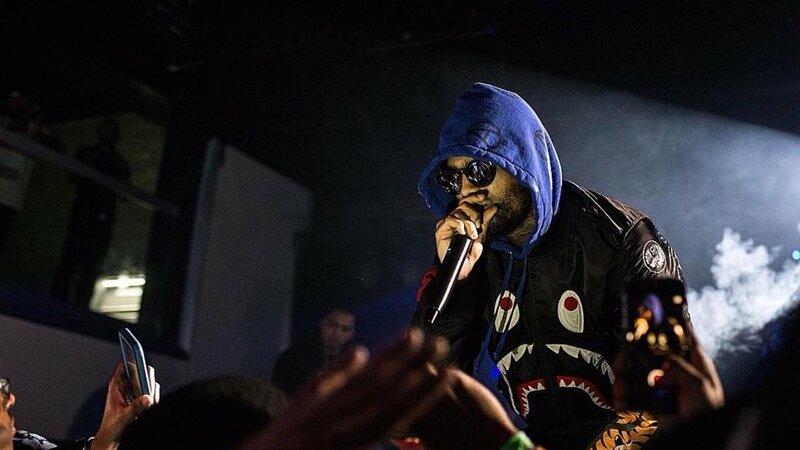 While Dave East is currently celebrating the release of his new EP, Paranoia: A True Story, he also has his mind on his future moves, hinting that we may be seeing a lot more of him on the big screen. Earlier this summer, the Harlem native made his foray into acting, making his debut on BET's Being Mary Jane. As revealed in a recent interview with XXL, the 29-year-old has been testing the waters as an actor, even landing an audition for an unidentified possible role in the Star Wars franchise. "Honestly, the acting is fun, man," he shared with the publication. "It's something I always seen myself doing. Like, I can [re-enact] mad movies. So the fact that that's even like being offered to me now like I got scripts in my email." He then went on in further detail, elaborating about some of the recent opportunities he's been blessed with. "I'm reading different scripts," he continued. "I auditioned for Star Wars. It's crazy. I would've never in a million years been trying to think I would've been reciting like, Luke Skywalker lines. It's crazy, man! But they on it, you know what I'm saying? So I got back in the gym. I just want to be the best Dave I could be." In addition to stepping into the world of acting, thanks in part to a recent high-profile compliment from supermodel Tyra Banks, the rapper is also looking to expand into the modeling world. "She don't know what that did for me," Dave East explained. "I done got a million agencies trying to hit me up to model now. But why not? Take pictures and walk for a check? I do that all day. All day long I'm doing that. Word. I just feel like it's dope for the culture and it's dope for the kids in my neighborhood and my homies to even see that." Sounds like whether or not the rapper landed role in the iconic Star Wars franchise, his future is not only looking bright, but expanding into multiple lanes. We're definitely here for that. Check out Dave East's recent sit-down with XXL in full here. Kanye West Auditions For "American Idol,"— Is He Heading To Hollywood?